Predicted drought as God’s punishment; prophesied against kings Ahab and Ahaziah of Israel at capital city of Samaria in ninth century B.C. Miraculous feeding by ravens while in hiding around the Brook Cherith. Worked miracles for a needy widow at Zarephath. Victorious over the prophets of Baal on Mt. Carmel. Fled to Beersheba and Mt. Horeb to escape the wrath of Queen Jezebel. Elisha selected as Elijah’s successor at Abel Meholah. Elijah taken up into heaven in the vicinity of Bethel and Gilgal. Click any red map pin to open a scripture link. 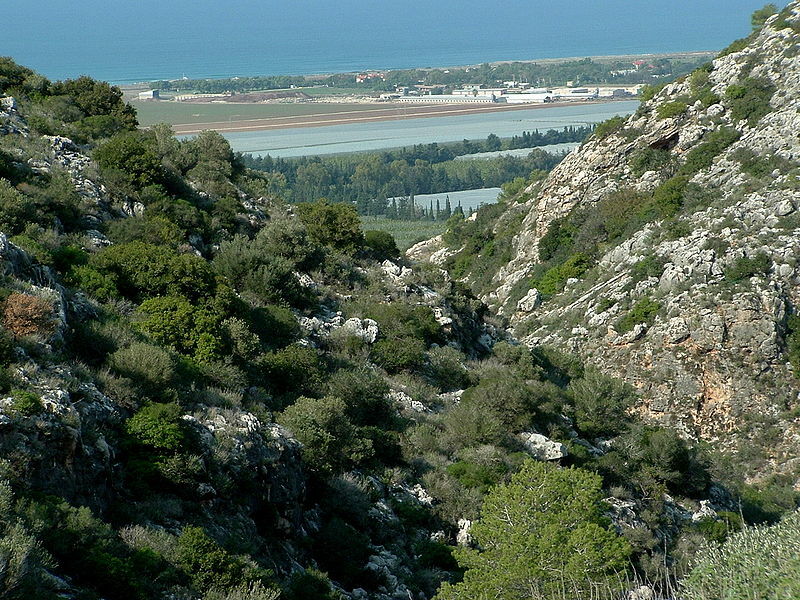 The Mount Carmel range (Hebrew ‘Kerem-El’ - ‘the Vineyard of God’) stretches inland from the Mediterranean coast at Haifa and runs south of the River Kishon and the Valley of Jezreel. It was one of the celebrated ‘high places’ where altars to the god Baal were commonplace and sacred wooden ‘Asherah poles’ (representing fruitful trees) were set up to worship the Sidonian fertility goddess, Asherah. Elijah challenged the prophets of Baal on their ‘home ground’ and claimed this ‘holy place’ for the one true God. Today, visitors to Mount Carmel can look out across the River Kishon and towards the Mediterranean Sea from the Carmelite monastery at Daliyet el Carmel. Inside the chapel is a replica of the stone altar that Elijah built to make his sacrifice to God. Above the altar, Elijah is depicted praying beneath a locust bean (carob) tree. Elijah’s Cave at the foot of Mount Carmel in modern-day Haifa is said by Jewish tradition to be the cave in which Elijah hid from King Ahab before fleeing south towards Beersheba. The fortified Monastery of Mar Elias, on a hilltop to the north of Bethlehem, is believed to mark another spot where Elijah rested during his southbound flight from Queen Jezebel.